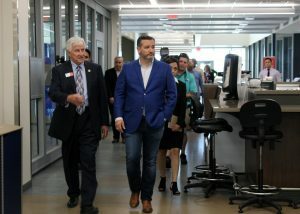 (ROSENBERG) – United States Senator Ted Cruz toured Texas State Technical College recently after announcing new legislation that will benefit students who pursue a technical education. 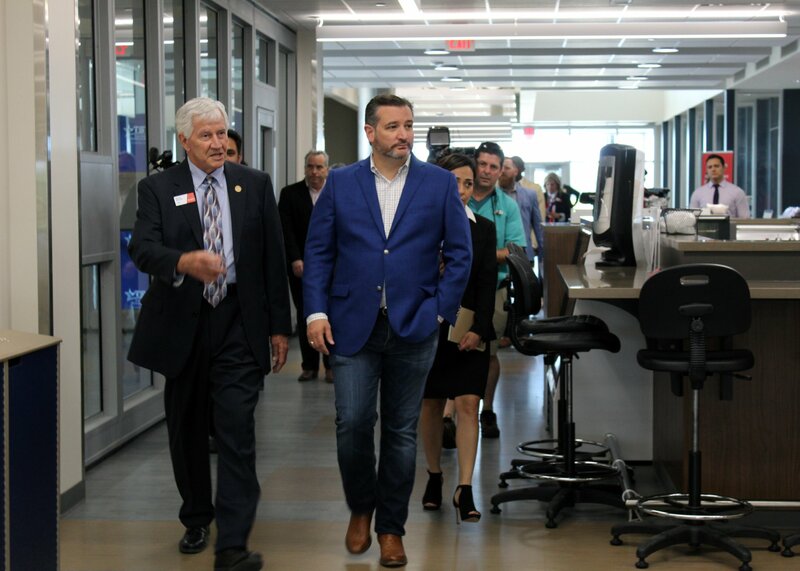 Cruz introduced the special legislation cited as the “Education Freedom Scholarships and Opportunity Act” to TSTC leadership and Fort Bend County industry leaders. The act establishes tax credits to encourage individual and corporate taxpayers to make scholarship contributions to workforce training organizations, like TSTC. Contributions can provide students with scholarships for secondary or postsecondary vocational education and training, including preparation and examination costs relating to certificates or credentials, or industry recognized certification or credentialing programs. 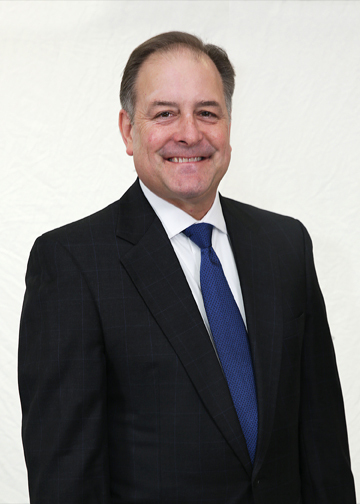 Chancellor Mike Reeser said 60 percent of the jobs in Texas require some kind of education beyond high school and half of those require only a certificate or two-year degree like the ones offered at TSTC. 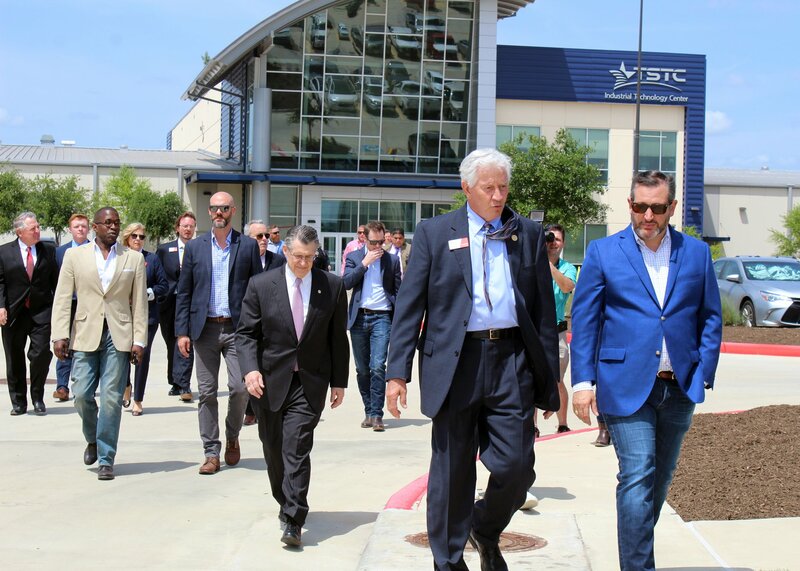 After the announcement, Cruz toured the campus and visited technical programs – Electrical Lineworker Technology, Diesel Equipment Technology and Robotics Technology – in the Industrial Technology Center and Brazos Center. University.com ranks TSTC’s Electrical Lineworker Technology program as best in the state. 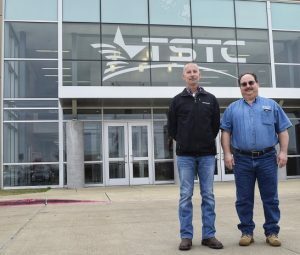 He spoke one-on-one with program instructors and students during the tour to get an inside look into the type of skills training TSTC is providing. TSTC, a leader in technical education statewide, offers more than 60 technical programs of study. And because of its legislative mission, the college has focused its resources and efforts on technical education and emerging technology, and filling the skills gap that exists statewide. After the tour, Cruz sat down with TSTC leadership, TSTC Robotics Technology student Joshua Schott, Electrical Lineworker Technology student Isaac Hughes, and industry leaders such as ExxonMobil, Schlumberger, CenterPoint Energy, Houston Area Safety Council and the George Foundation for a roundtable. Cruz praised TSTC for the training the college is providing industry in the region. 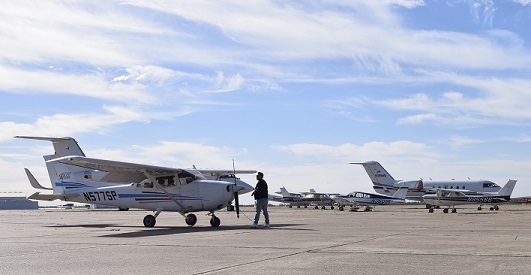 TSTC currently serves more than 500 students, but is expected to grow enrollment to 5,000 within the next decade. 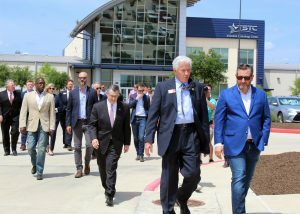 Cruz also thanked TSTC for giving men and women the critical skills needed to achieve successful careers and expanding educational opportunities for Texas and its residents. This entry was posted in Fort Bend County on April 18, 2019 by Amanda Sotelo Sotelo. (WACO) – Five technical programs at Texas State Technical College were recently recognized by the Office of the Governor’s Texas Workforce Investment Council at a ceremony in Austin. Associate of Applied Science degree programs for Biomedical Equipment Technology, Electrical Lineworker Technology, Process Operations, Solar Energy Technology and Wind Energy Technology were recognized for merging industry-defined skills standards into hands-on learning. 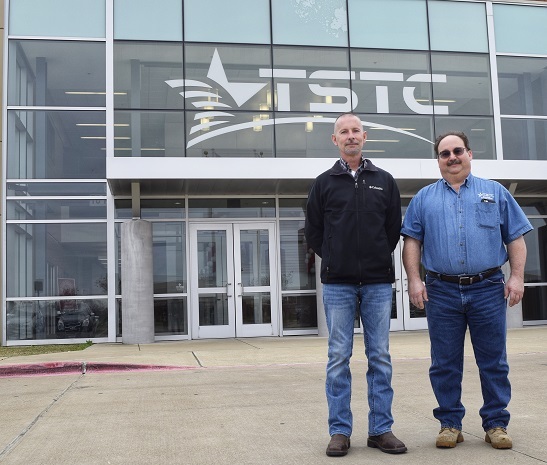 With TSTC students learning the skills standards, the programs are meeting the needs of state employers in creating a competitive workforce, according to the TWIC. Mark Plough, TSTC’s statewide department chair for Biomedical Equipment Technology for the Harlingen and Waco campuses, said it was easy to include the standards in the curriculum. “Since we have the equipment and the instructors with the background of field experience, I think that helps us a lot,” he said. Plough said the caliber of students coming into the program is improving. Eric Carithers, TSTC’s statewide department chair for Electrical Lineworker Technology for the Fort Bend County, Marshall and Waco campuses, credited the Texas Workforce Commission for using industry data to define key skills needed to be successful in technical occupations. Other TSTC programs receiving the recognition are the Process Operations program in Marshall, the Solar Energy Technology program in Waco and the Wind Energy Technology program in Harlingen and Sweetwater. Only 23 Texas colleges offer programs with the industry-defined skills standards designation, according to the TWIC. The TWIC promotes the development of a highly-skilled, well-educated workforce and meets the needs of Texas businesses of all sizes. The TWIC carries out these mandates through strategic planning, reviewing local and state workforce plans and maintaining the Texas Skills Standards system. This entry was posted in Fort Bend County, Harlingen, Marshall, Sweetwater, Waco on April 16, 2019 by Daniel Perry. 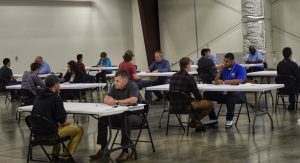 (RED OAK) – More than 20 Texas State Technical College in North Texas students had the opportunity Wednesday morning to sit down with area industry representatives to practice interview skills. 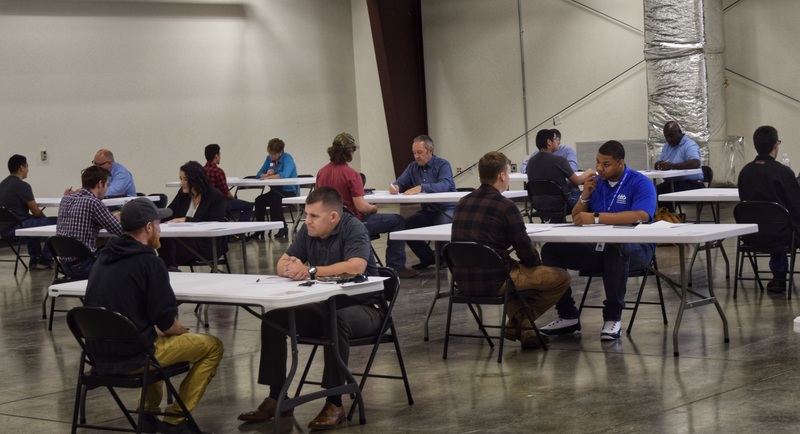 TSTC’s Career Services department hosted mock interviews for the first time for students to learn their strengths and weaknesses. Students had three timed sessions with recruiting and human resources workers from area companies. “They all had individual qualities,” Green said. One of Alfaro’s classmates in Industrial Maintenance, Alex McDonald of Waxahachie, said he was nervous at first but became comfortable as the morning went on. This entry was posted in North Texas on April 10, 2019 by Daniel Perry. (RED OAK) – Students who pursue industrial maintenance careers play a critical role in keeping their workplaces operational. “I feel like a student that will do well will be curious in nature and want to learn,” said John Walker, an instructor in Texas State Technical College in North Texas’ Industrial Maintenance program. Walker said the program’s students make up three groups: traditional ones just out of high school, those studying to get promotions, and workers already in the field wanting to improve their skills. Joe Razza, a regional recruiter for Crown Lift Trucks in Arlington, said many of the learned industrial maintenance skills can be used in manufacturing forklifts. Employees undergo company training once hired. Jonathan Williamson, human resources talent lead at Owens Corning in Waxahachie, said the company hires for industrial mechanic and electrical specialist positions. Williamson said employees starting out in electrical and mechanical tasks at the company working a 40-hour week could have a base pay in the $60,000 range with overtime opportunities. A lot of the jobs graduates can pursue in the field only require an associate degree. Electrical and electronics engineering technicians had an annual mean wage of more than $67,000 in Texas in May 2018, according to the U.S. Bureau of Labor Statistics. Technicians are needed in computer design, natural gas distribution, petroleum manufacturing and other industries. Electromechanical technicians can work in the aerospace, energy, piping and semiconductor industries, according to the agency. The annual mean wage for electromechanical technicians in Texas was more than $57,000 in May 2018, according to the agency. Students attending TSTC in North Texas can pursue the Associate of Applied Science degree in Industrial Maintenance with an Electrical Specialization, or a certificate in Industrial Maintenance Mechanic-Electrical. Some of the classes students take include Basic Electrical Theory, Commercial Wiring, Machinery Installation and Programmable Logic Controllers. Students have opportunities to get apprenticeships as early as their second semester, Walker said. This entry was posted in North Texas on April 7, 2019 by Daniel Perry. 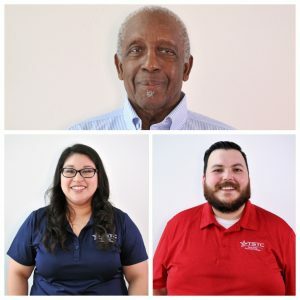 (FORT BEND) – Field Development Officer John Kennedy, who has been with Texas State Technical College since the expansion in Fort Bend County in 2014, has recently been named a Chancellor’s Excellence Award recipient. This entry was posted in Fort Bend County on April 5, 2019 by Amanda Sotelo Sotelo. (RED OAK) – Two employees at Texas State Technical College in North Texas have been honored for their work and skills. Thomas Betik, a building maintenance supervisor, and Leslie Monk, an Industrial Maintenance instructor, are recipients of the Chancellor’s Excellence Award. Betik began work at TSTC in 2017 and is the first in his position on campus. Since he is the only building maintenance supervisor there, he deals with most building-related problems that arise. Betik said faculty members also offer their expertise in some situations. “I come from a farming background and picked up a lot of maintenance and plumbing skills around the farm and made a career out of it,” Betik said. “He is very well respected and liked by the employees,” Balch said. He joined the United States Navy at 18 and was an electrician in the the U.S. Naval Construction Battalions. While in the military, Monk was deployed to Operation Desert Shield and Operation Desert Storm, as well as to Afghanistan and Iraq. Betik and Monk will join 33 other TSTC employees statewide who will be honored at the National Institute for Staff and Organizational Development’s Excellence Awards Dinner in May in Austin. This entry was posted in North Texas on April 2, 2019 by Daniel Perry. 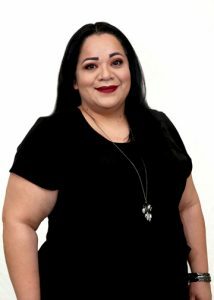 (FORT BEND) – Christina Vargas is the Assistant Director of Enrollment Management for Texas State Technical College in Fort Bend County and has added Chancellor’s Excellence Award recipient to her title. Vargas was selected among 160 faculty and staff members who were nominated and is one of 35 recipients statewide. It’s been two years since Vargas first arrived at TSTC, and as a Rosenberg native she said she is happy to be home. This entry was posted in Fort Bend County on March 29, 2019 by Amanda Sotelo Sotelo.